Lets start with the packaging. My local Holland and Barrett is quite old and the shelves are dark wooden so it’s quite dull and dark in there. As the packaging is such a bright orange it really stood out to me on the shelf. 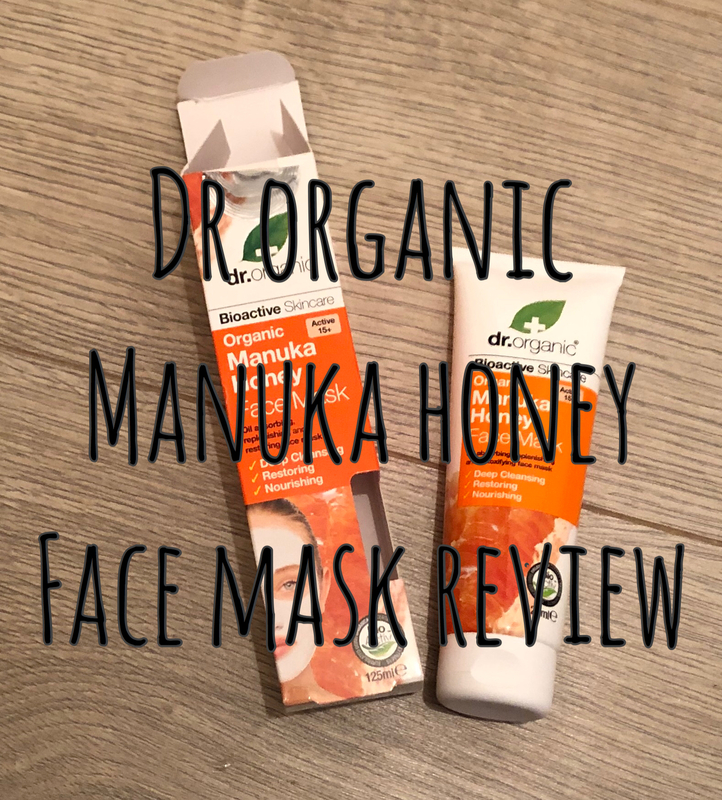 The whole Manuka Honey skin care range is this orange which is great allowing it to stand out and invites people to want to grab the product to try. I don’t really know what I expected when I squeezed some of the mask on to my hand to apply. So I don’t really know why it surprised me in colour but it did. It’s a sort of light grey in colour and smells amazing. Its honey scented of course but also has a hint of coco butter too. 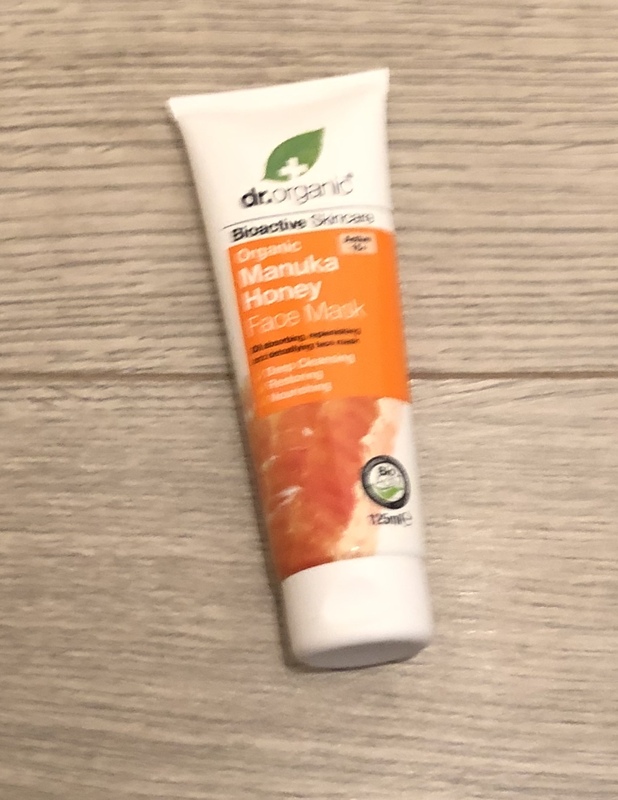 Every time you walk into my bathroom now it smells all nice and honey like because not only is my mask and lotion in there, my shampoo bar is honey scented too. If you’re not really a honey fan, don’t worry because I wasn’t either, but it smells so good. 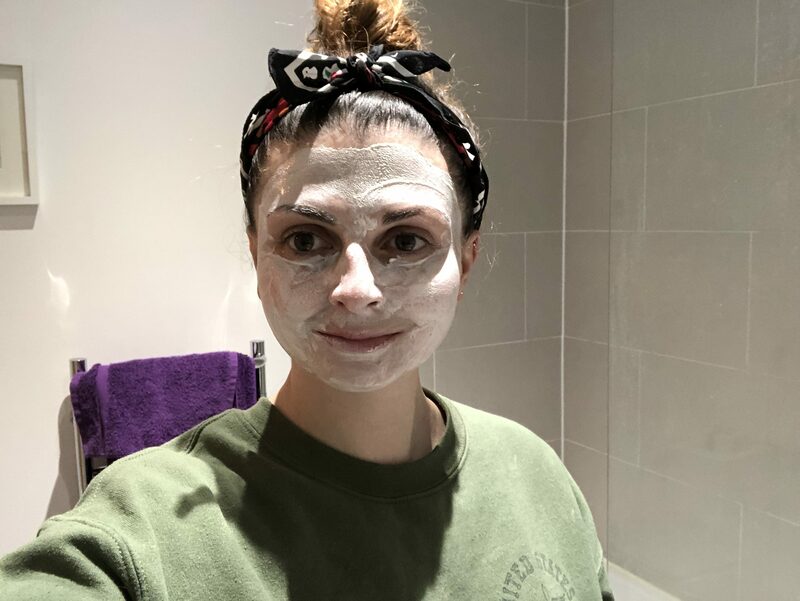 The coco butter scent maybe ever so slightly stronger and anyway its on your face for 10 minutes and who goes out in public with a face mask on? If you naturally think of Manuka Honey you would think of it being expensive for a little portion. It is for the jar anyway. This is on a half price deal at the minute for £3.60 but even at £7.99 its good and will last you a while being 125ml. Of course face mask time means messy bun, pyjamas and a head scarf. Don’t worry about how dark my eyebrows are I have just had them tinted for the first time in a long long time. When applying this mask, it went on nicely. I didn’t use much and it covered a lot from one application. I would say maybe I should have applied more to the sides of my face and higher to my hair line. It says to leave it on for about 10 minutes so off I went to watch a little youtube whilst the mask sunk into my skin. I always find it weird when the mask starts to become solid and crack when you try to smile. After the 10 minutes I simply dampened a flannel and started to wash my face. It was actually pretty stuck on so took a little more effort than others I have tried. But once it was all off and even now a couple of days later I can feel the difference still. My skin is a lot more smooth and less dry in fact not dry at all. I have even had people say my skin has a glow to it. I would 100% recommend this mask to anybody. Its helps to nourish, moisturise, restore and cleanse your face. I can definitely confirm that for myself anyway it has definitely done all 4 of these things. 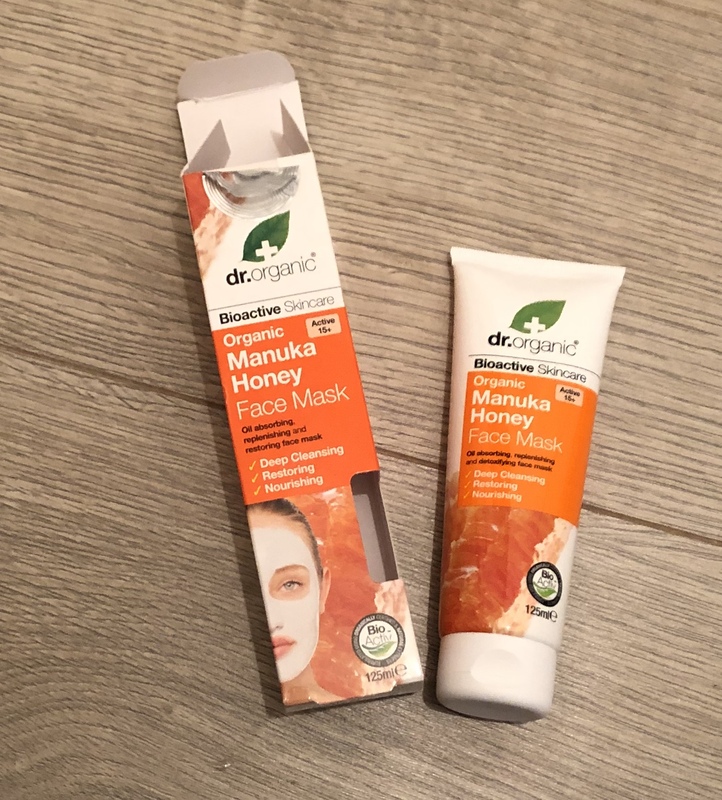 I am now loving the smell of honey and want to try more and more of their product range. 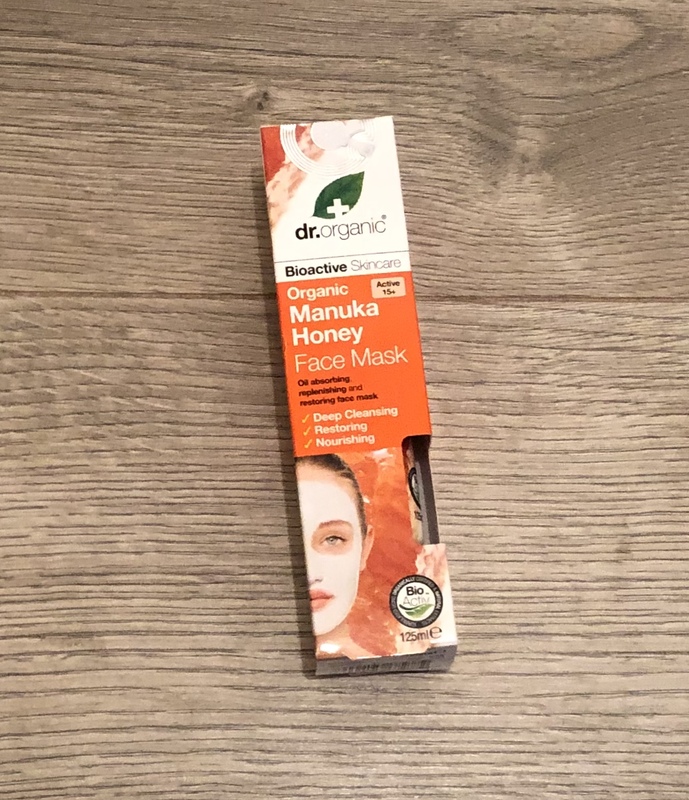 Have you ever heard of Manuka honey being used in skin care? What’s your favourite face mask? And what is one you would recommend me to try?